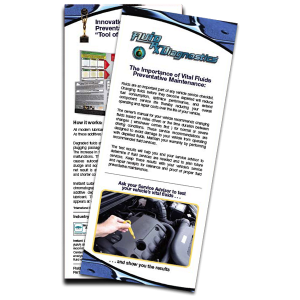 The Fluid Rx Diagnostics POP Magazine covers Company Overview, CA BAR Communications, Why and When to Test, Blueprint-for-Success, Testimonials and Technical Articles. 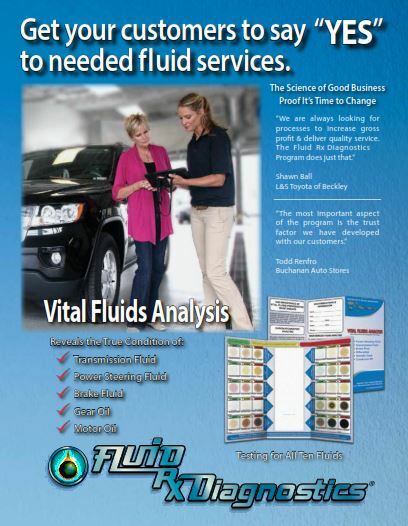 Please Call 855.533.5843 or email sales@fluidrxdiagnostics.com for pricing. Every minute of every day hundreds of vehicles roll out of service bays with at least one depleted vital fluid. If technicians had known and the car owners were shown, 65-70% of customers would have said “YES” to these needed fluid services. Not knowing. This is the biggest problem for service providers and why money constantly drives out their door; part of an $87 billion in unperformed services for 2015. Knowing is simple and profitable. 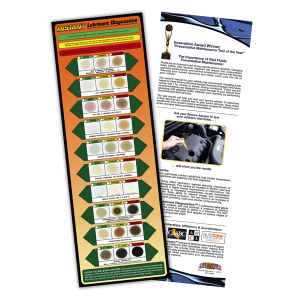 Fluid Rx Diagnostics has developed the scientific process that instantly reveals the true condition of all vital automotive lubricants and fluids. 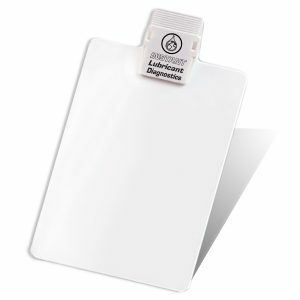 It takes only minutes to perform and can double fluid service sales, and in most cases increase them as much as 300% or more, in as little as 90 days.